When working on larger projects it’s the little details that really make the difference for both the client and for us! Our current project is no different. We are creating a “themed” environment for the Fox Island Creamery & Café in Hewitt, NJ. We’ve created a nice little storyline and have developed some characters which should make the experience fun for both the kids and parents. This sign is for a little beaver character that we created and his boat company. 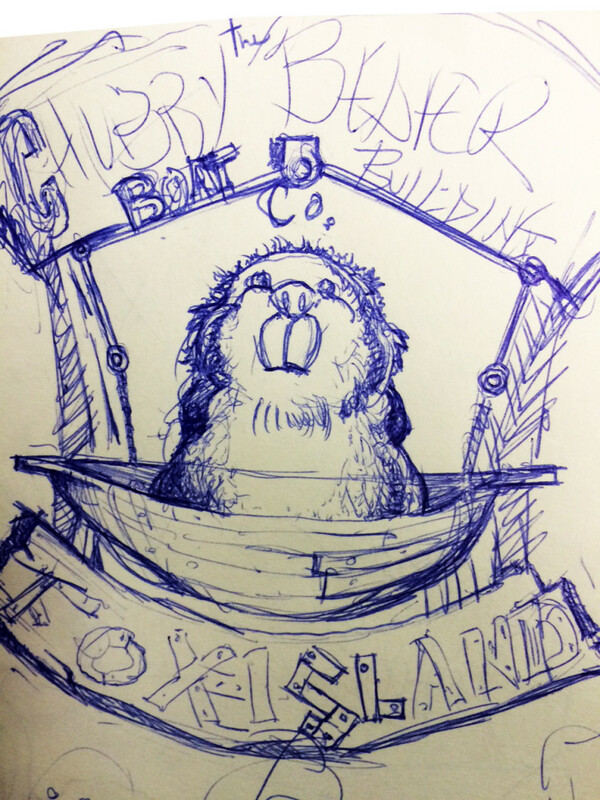 The Chubby Beaver Boat Building Co. This project allowed us to meld two of our skills, vehicle wraps and 3D Sign Making, into one “unique” looking vehicle. 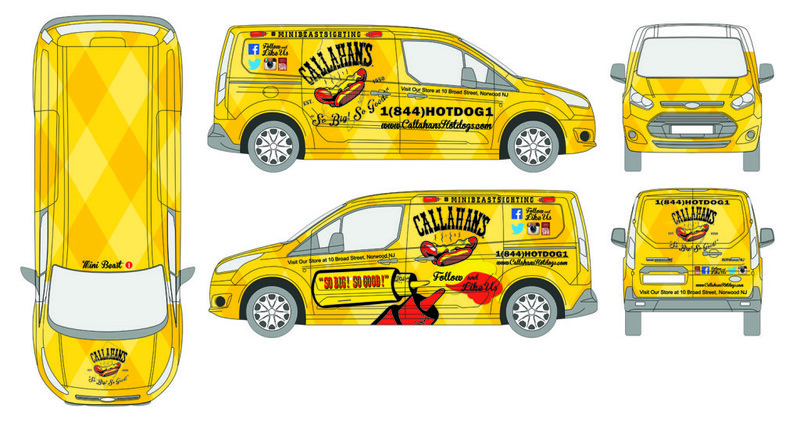 Our client Callahan’s Hot Dogs in Norwood was in need of a new vehicle wrap to match their now famous Hot Dog Truck. 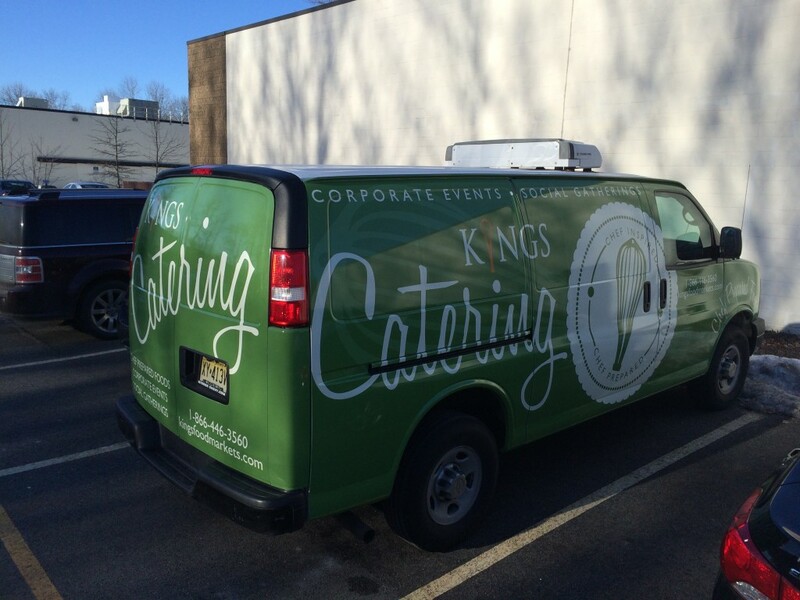 So Nanette dove into the design then Dan called and asked… “Can you build a giant hot dog for the top of the van?”. Of course I said yes This is how we did it. I am lucky enough to live in the great town of Warwick, NY – we have wonderful restaurants and shops and its a destination for many people on weekend getaways. There is a new trendy shop opening, bfree and we were lucky enough to be called to help with her “new” look. The clients logo needed some tweaking and unfortunately wouldn’t work on the sign. We started by taking the logo and reformatting it to match the “feel” of the store and to better represent what you would see inside. Oh how we love our friends at Jura ! Not only are they wonderful people but they make the greatest coffee makers on the planet! 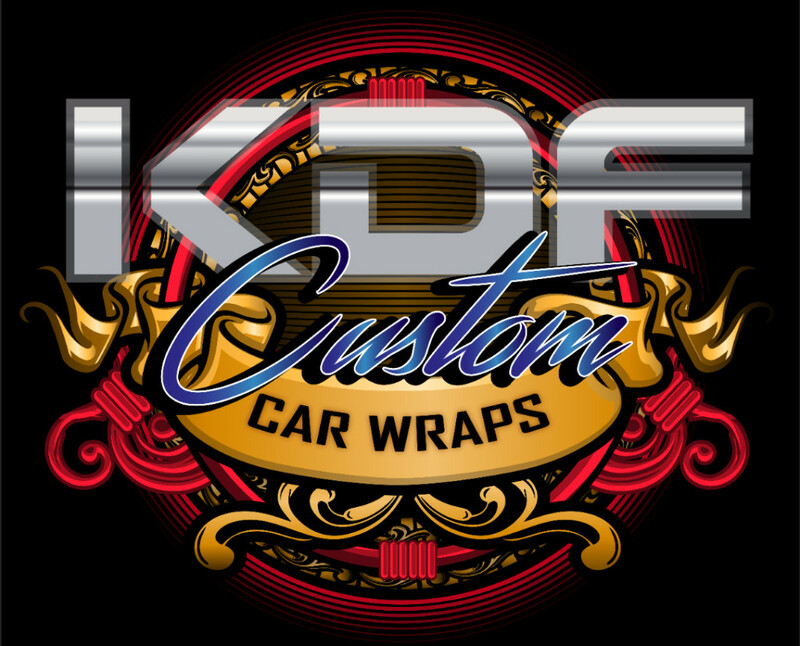 As they are building out their new headquarters they requested KDF to fabricate a large logo for the reception area.This logo is approximately 4’x8′. 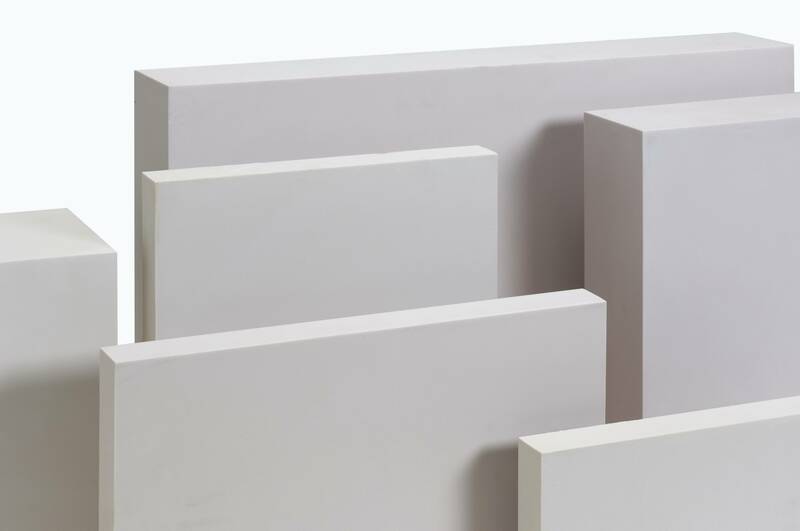 We are making it out of 1 piece of 15# Precision Board HDU which is 2″ thick. 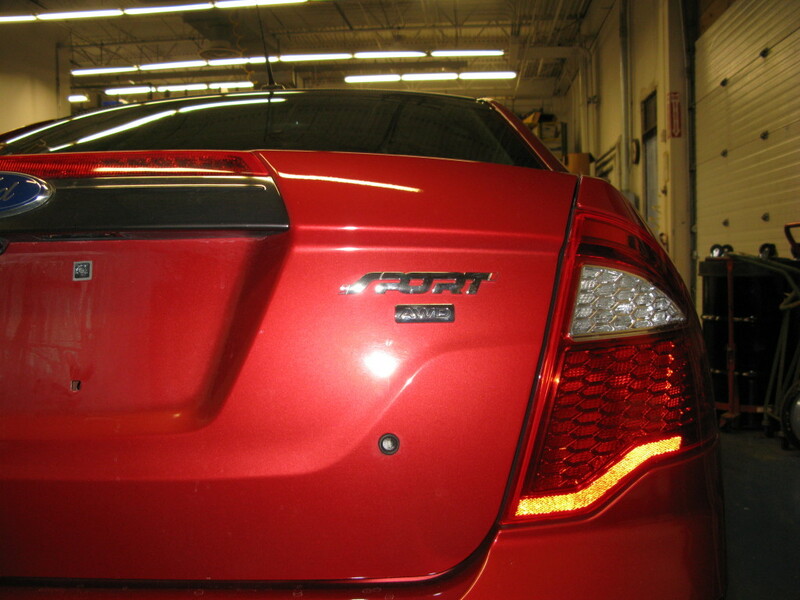 We remove excess material from the back to reduce the weight. 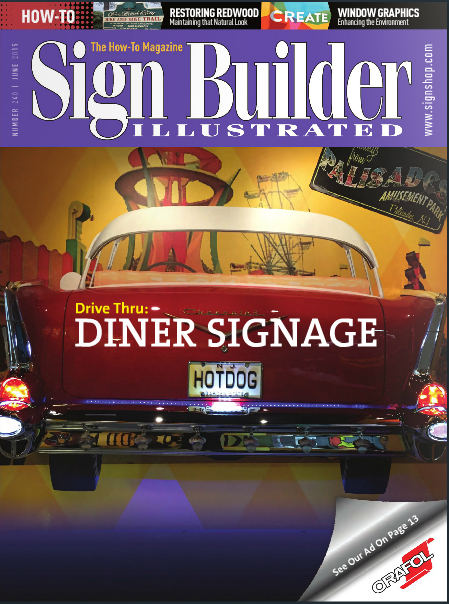 Thank you Sign Builder Illustrated Magazine once again for putting KDF on the cover featuring the Callahan’s Project! What a fun project this was. Click below for the article. The shop is all abuzz with the news! 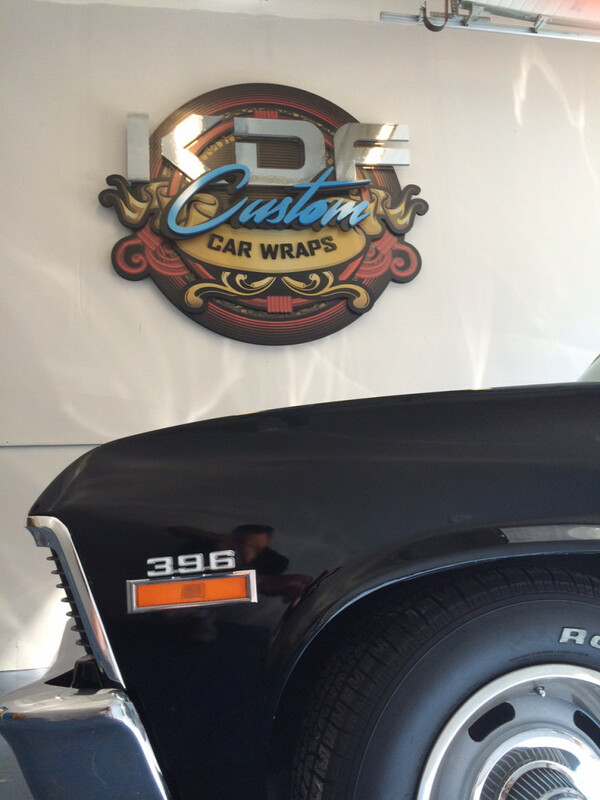 We’re very excited to announce we have completed the construction of our new wrap area! We’ve tripled our capacity and we’re ready to wrap! Of course now we need a sign for the 18′ walls and you know a small sign won’t do. So… we went with a 6′ x 7′ footprint. Nanette came up with a real nice design that we could work with to make a printable dimensional sign. Here is the original design Once Rad setup the file for production it was time to cut the foam. 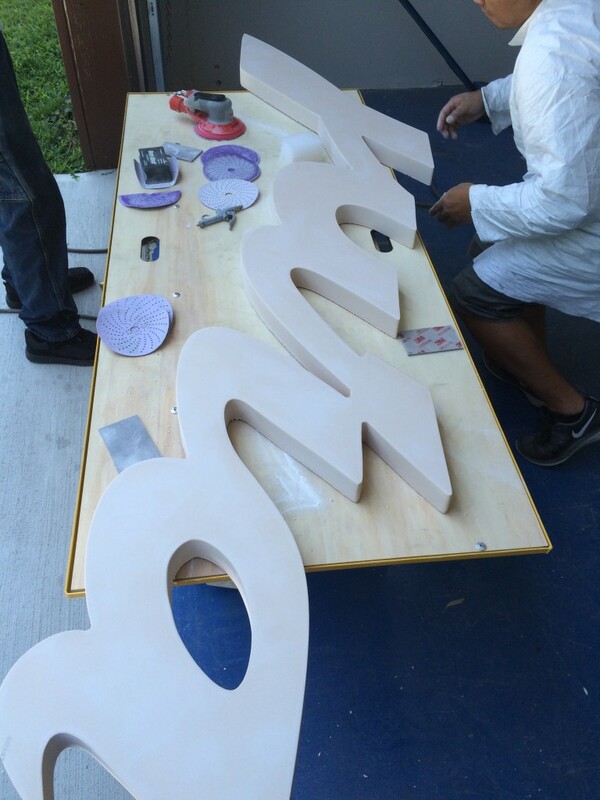 We started by cutting the elements of the sign out of simple white gator foam of varying thicknesses. A Trip to the Police Station! Don’t get the wrong idea. 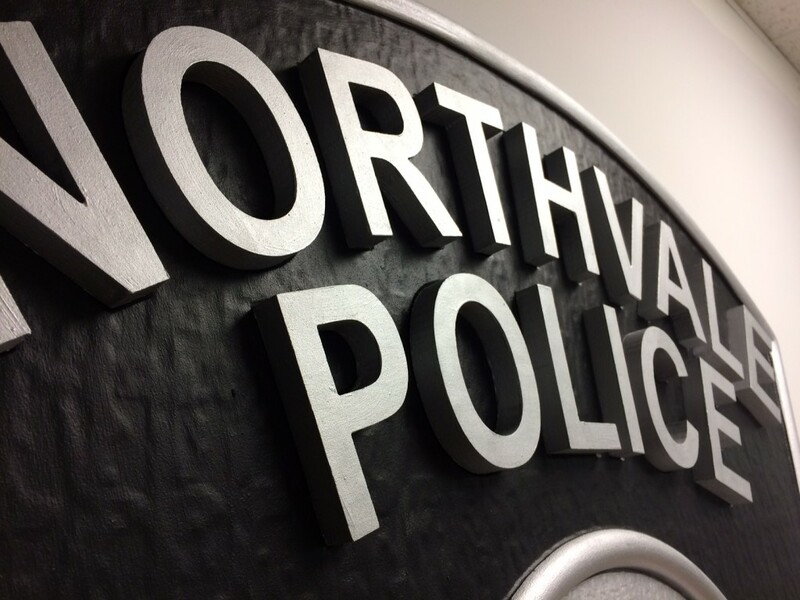 KDF is honored to have been chosen by the great Borough of Northvale, NJ to create some custom signage. Here are some of the signs before they go out the door for install. We used Precision Board HDU, both 15lb and 30lb, and cut the relief of the patch with a 1/6″ Ball end mill on our MultiCam 3000 CNC. Everything was painted with Modern Masters Metallic Paint.